Does life get easier as you persevere? Ask an 8th grader. 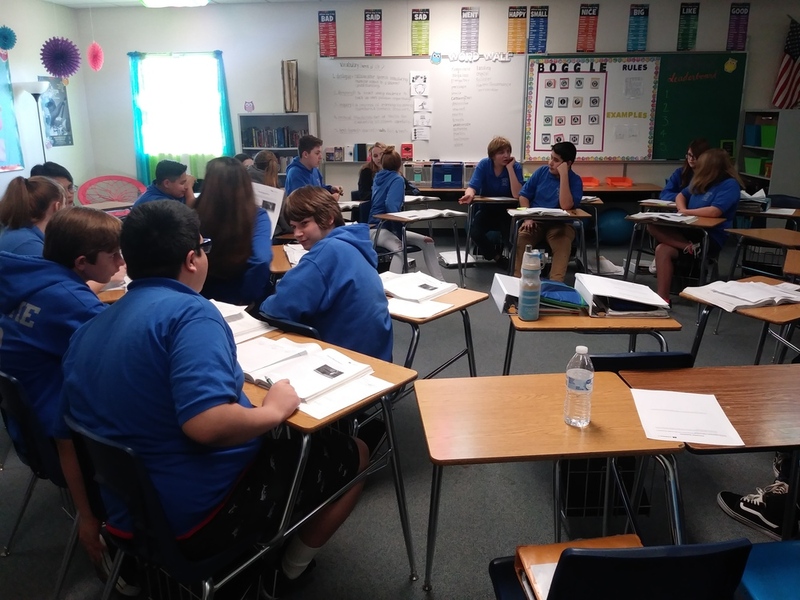 As Mohave Valley Junior High continues our school wide AVID approach, staff and students are exploring different ways to write, inquire, collaborate, organize, and read. "Does life get easier as we persevere?" was just one of the many questions asked today during Mrs. Polsinelli's Socratic Seminar. Students answered this question by first interacting with poetry to develop higher order questions to ask the class. The teacher then organized the class into an inner circle and an outer circle. The inner circle discussed the question while the outer circle wrote additional questions. Students then switched roles throughout the period to ensure everyone had a chance to give their opinions about the text. The activity required all students to engage in the discussion and involved a variety of ideas about the writing. After the activity, students shared that they like hearing different perspectives and couldn't believe how fast class went by. Way to go 8th grade! What a great way to end the week!